As the warm weather of summer approaches, it’s more important than ever to stay on top of your pool maintenance. 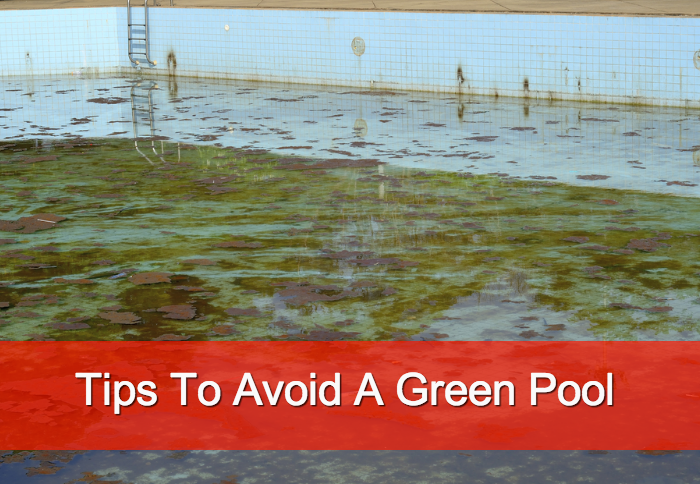 Fluctuating temperatures can cause imbalances that lead to green pool water. Follow these tips to keep your pool blue and sparkly all summer long. Mark your calendar to check your pool’s pH twice per week. This may not be necessary at other times of the year, but with the warm weather comes a greater obligation to maintain the proper chemistry in your pool. This allows you to make minor changes to the pool’s chemistry as it becomes necessary. Remember to test for metals in the water, as traces of iron and copper can give the water a sickly greenish tint. Take the pool’s temperature regularly. The pool pump should run 1 hour for every ten degrees Fahrenheit your pool reaches. For example, if your pool’s water reaches 70 degrees, your pool pump should run for 7 hours. Perform regular cleaning at least once a week. Set a regular schedule to brush the walls and tile in the pool to remove growth of algae. A broken pool pump, filter or drain can affect pool circulation and ultimately can cause your pool water to turn green. 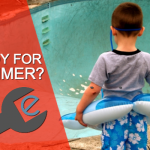 Fix any broken parts in your system in a timely manner, and have a pool professional look at your pool at least once a year. Need to hire a pool care professional? 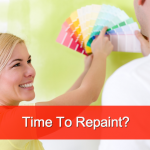 Check Bid On Work for a maintenance person in your area. « Need Some Pool Repair Before Summer?